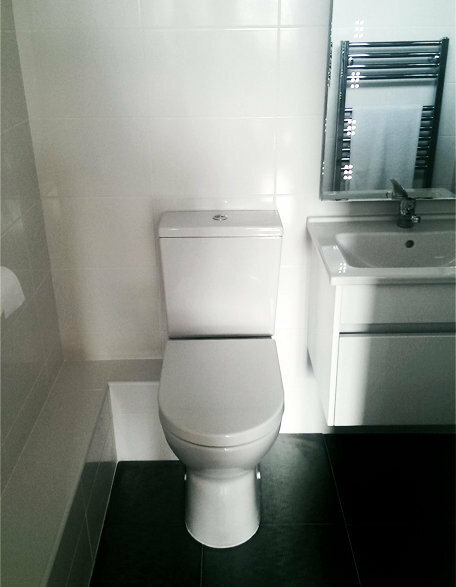 O'Sullivan Installations Ltd understands the challenges and frustrations faced when looking for a reliable plumber. Especially one that is presentable, reliable, qualified and local. The quality and service provided by O'Sullivan Installations Ltd means satisfied customers without extortionately high charges and unnecessary work. Our charges are transparent and kept to minimum, where needed. We fully guarantee 12 months on all our workmanship and 5 years on the all appliances. We operate 24 hours and will undertake work at your convenience where possible so you may not have to take time off work. 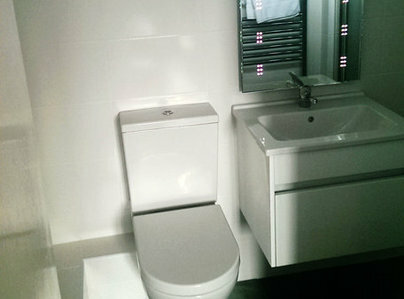 Just had a complete bathroom refit by Kev and his team. Competitive quote, really high standard of work, cleaned up at the end of each day and took just 6 days to clear the old bathroom, install new suite, shower, towel heater, ceiling, flooring and tiling, and replace old soil stack. 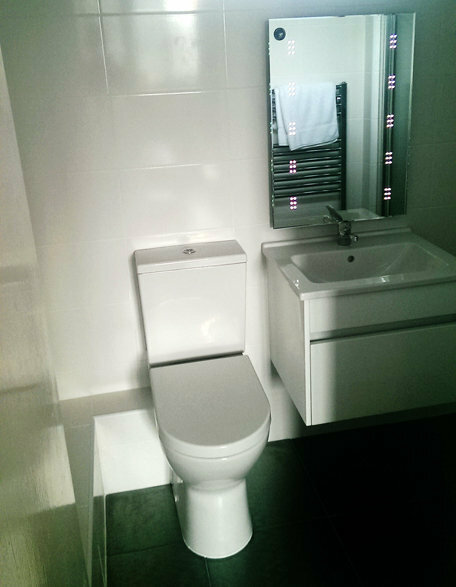 We are really pleased with our new bathroom it looks amazing. Kev was recommended to us and we would highly recommend him. Work: The work we did was installing a new gas central heating system including all the pipe work plus new gas boiler with Google Nest smart thermostat. Schedule: I was quoted 4 days. My other quotes were 4-5 days. The work was COMPLETED in 3 days. Quality: We had a freshly painted house and a new carpet fitted so we needed someone who can do minimum damage to these things. Happy to say Kevin and his team a great job here too. Kevin's team is also professional and communicated with us for our preferences in fitting. Boiler fitment in conservatory was a challenge but in the end they did it with great extra efforts like removing glass and fitting wooden + metal fittings. Budget: Not a penny more no hidden charges, I was charged what was there on the quote. Peace of mind. Communication: SMS and Email, Kevin is extremely reachable even after working hours. He responded to my queries on time same day. Extra bits: We are renovating other things also in house like skirting boards and bathroom. Kevin has been very kind to suggest me some carpenters he knows and also we are exploring bathroom renovation with Kevin. ***** stars and highly recommend. 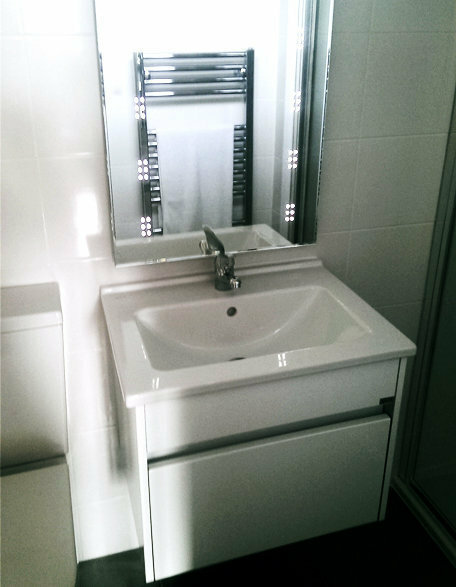 O'Sullivan Installations installed a brand new bathroom in a most professional manner. They worked hard during the whole period, gave us updates daily and finished the job in a reasonable time to a very high standard. Most impressed. Kevin fitted a Veissmann boiler for £2195 in 5 hours in Dec but did not provide an asked for invoice He said he was a perfectionist re-siting the condensation pipe without telling me leaving a big hole & the hole for the new condensation pipe was 1/2 inch too big whereas the old pipe had fitted snugly. I was left with brick dust over the outhouse floor and outer white render. I gave him containers (unused) to put under the radiators & found a leak had stained the parquet under the lounge radiator. On Mar 3 there was no hot water. If I had not had a hospital appointment I would have waited. I phoned Kevin for help, he told me it could not be the condensation pipe but to throw hot water over the boiler cold pipe. I said I didn't know which pipe he meant & that I was quite stressed because of the appointment. He said that I was blaming him for the bad weather. I said of course not but I had paid over 2K for a boiler that wasn't giving any hot water. He swore at me and hung up. I had to boil some water for a wash Kevin thought about this all day but instead of contacting me to apologise he sent an offensive email saying he had sworn at me because my manner was so objectionable. Since his version of what was said and the way he said I spoke to him was not true I hardly think his comment that he has not sworn at anyone before or will again is true either I think that as he lives 30 minutes away small jobs are not cost effective as when I asked him at the end of the job what he charged for a service he told me he would not come out for that. I think that is why he was so nasty to ensure I could not ask for help for future boiler problems even though he had verbally told me that I had a 2 year guarantee on his labour I am a 65 year old woman who sadly found a trader who's civility and responsibility only extends until he has banked the cheque. O'Sullivan Installation Ltd prides itself on professionalism and integrity. So after reading this review, we are obviously saddened. Having been through it on a number of occasions, we also feel we have been slandered somewhat. We carried out the work to a very high standard, in an outhouse with a foot of snow to contend with. A couple of months later we received a call from Miss Malbon, saying she had no hot water. When I asked if any water at all was coming out of her tap, she replied "No" We knew this was down now to the extreme weather at the time. Her external cold main had frozen. I explained we would get to her, but due to the high volume of outstanding calls it wouldn't be right away. She was extremely rude and was demanding I stop what I was doing, and came straight to her. During this conversation, she was talking over me constantly. I regrettably used foul language and hung up. The moment I said it, I regretted it. As in over 30 years in the trade, I have never been in conflict with any of my customers. But unfortunately I felt pushed and bullied into giving a response, very much the wrong one. But we live and learn. The boiler we installed is as far as I know working perfectly, as I knew it would once the ice thawed out. We as a company will always try and do our upmost for every customer to keep them satisfied, unfortunately not everyone can ever be satisfied. Please take the time to read all of our other reviews, it tells the true story. Very pleased with our bathroom refurbishment. They arrived promptly each day & completed the work within a few days. Would definitely recommend to family & friends. Very happy with our new upstairs walk-in shower room and new downstairs toilet. All new fittings and tiled from floor to ceiling in both rooms. Love it. Excellent work. Efficient, completed quickly, hassle-free service. Extremely happy with service. Professional and polite and very tidy. I'm over the moon with my new bathroom. An excellent, neat job done efficiently.